You will also need a muddler, I found the one below at Bath Bed and Beyond for about $7.00. Muddlers are kinda hard to find and the price can range from $4-$35. This one below I have seen as high as $35. So my advice is to shop around. and get one cause this little kitchen aid works well. 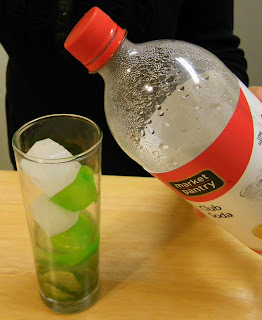 I also used Agave instead of sugar, I think this makes the drink taste much better. 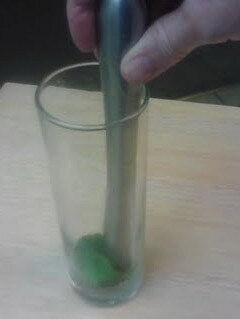 Start with about 10 mint leaves, mash them with the muddler just to release the mints juices. Add 2 slices of thinly cut lime. Add about a tablespoon or 2 of light Agave nectar, or sugar. 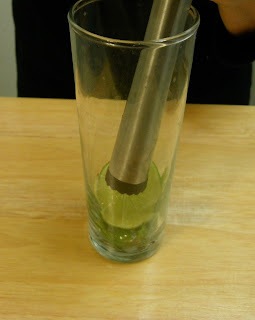 Muddle this a bit more, to juice the lime. 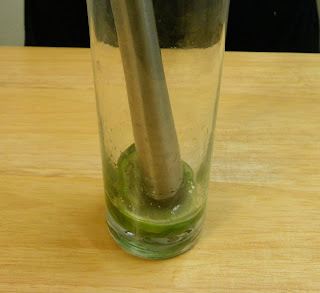 Add 4 more thin slices of lime. 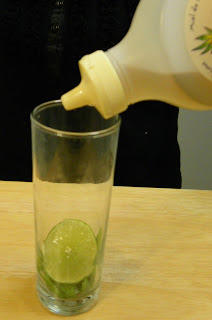 One more tablespoon Agave or sugar. 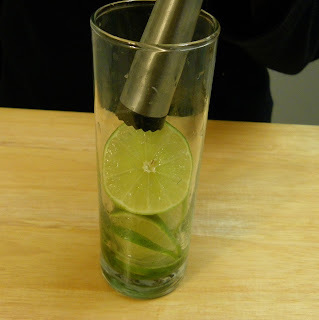 Using your muddler again, to really juice the limes. 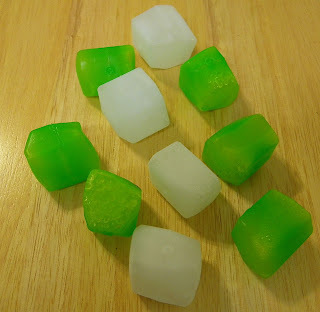 Add a shot of white rum, about 2 oz and pour over ice cubes. ah! now you have the prefect mojito. 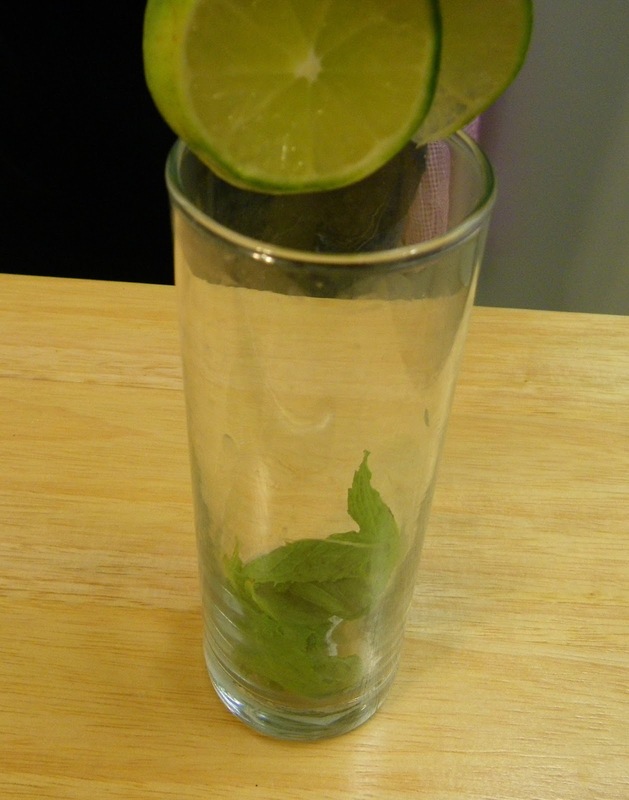 Place mint leaves and 1 lime wedge into a sturdy glass. Use a muddler to crush the mint and lime to release the mint oils and lime juice. 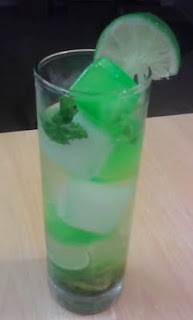 Add 2 more lime wedges and the A, and muddle again to release the lime juice. Do not strain the mixture. Fill the glass almost to the top with ice. 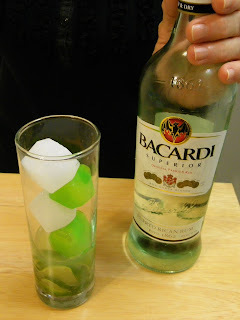 Pour the rum over the ice, and fill the glass with carbonated water. Stir, taste, and add more sugar if desired. Garnish with the remaining lime wedge. besides tequila this is my favorite beverage! That must be a great post because it is only 6:30 in the morning and I am thinking about happy hour! I had heard of a muddler but not seen one before. 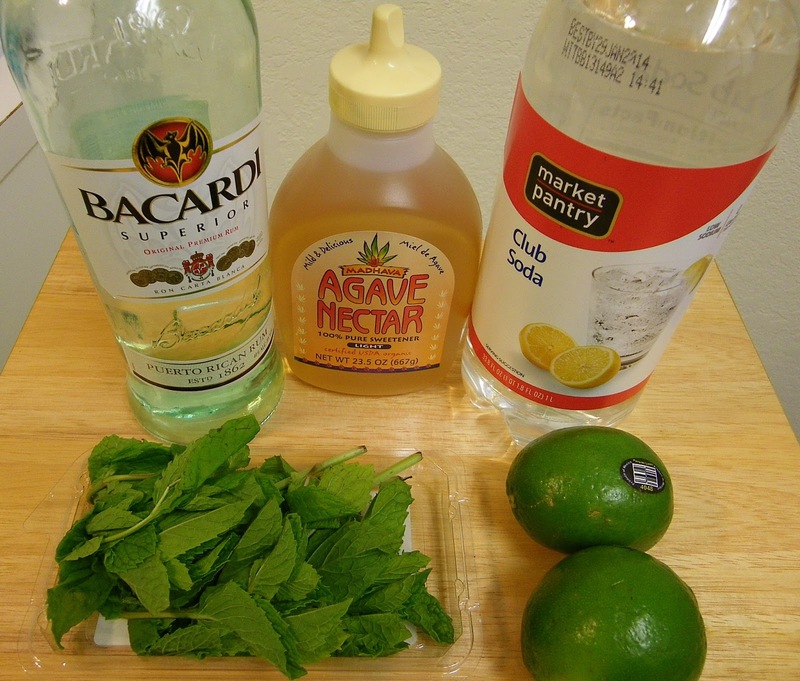 Can you make this without the rum? Too early for alcohol. UUhhhh....is it time yet for a drink?! Since I don't drink, I can't relate to the flavor, but gee, the pictures are enticing! Ah, the suggestion of the power of a picture!